The Plum Fruit Moth (Cydia funebrana) is a pest of plum, cherry, apple, peach, apricot and walnut. Its larvae bore into and feed on the fruit. Surveys are conducted because of the presence of potential host material in Wyoming and high potential for establishment after introduction. It has not been found in the US. To date, it has not been found in Wyoming. Eighty-seven total traps have been placed throughout twenty-three counties in Wyoming. 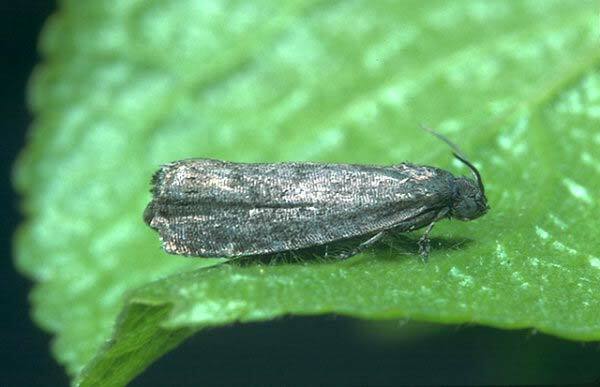 The Wyoming Plum Fruit Moth Survey is conducted by the Wyoming Pest Detection / CAPS Program. A sticky trap with pheromone attractant is placed on or near the host plant from May until August. The traps are monitored for suspects and serviced once a month. If suspects are found they are sent to the University of Wyoming for further identification. Twenty-five traps were placed in 2007 in twenty-three Wyoming counties. All suspects examined were negative.